Western Coalfields Limited subsidiaries of Coal India Limited producing coal in India. It is commonly known as WCL. It was started in 1975 under the Ministry of Coal. 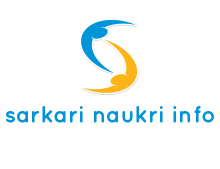 Its registered / head office is located at Nagpur. In this page we will talk about latest WCL Recruitment notification for various positions, eligibility criteria, application form, age limit and relaxation. This time WCL comes with staff nurse trainee recruitment project. Only Indian citizens for are qualified and intelligent can apply for staff nurse trainee post. Closing date for WCL Feb recruitment notification is 09th March, 2012. Candidates need to download prescribed application format www.westerncoal.nic.in website and send after fulfilling correctly along with other photocopies of documents to the address of The General Manager ( P&IR ), WCL, Coal Estate, Civil Lines, Nagpur-440001. WCL will conduct written exam for Staff Nurse Trainee post and candidates who will passed in this exam will be call for personal interview. After interview WCL will make a list of candidates who is selected according to written test marks and interview response. Eligibility: Only those candidates are eligible for above said post whose age is maximum thirty year and minimum eighteen years and successfully passed in 12th with first class (A Grade) nursing diploma or certificate with at least 3 years of course is the minimum qualification required for the post of Staff Nurse trainees.